Three infantry brigades concentrated their efforts in the area of western Hevron on Saturday. 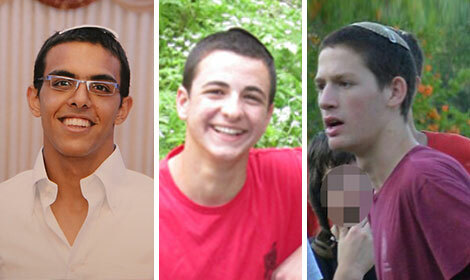 The IDF's mammoth effort to locate the three abducted yeshiva boys who have been missing for 10 days was concentrated in western Hevron on Saturday. 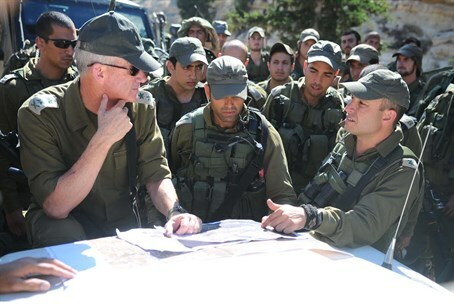 A senior officer said Saturday night that three infantry brigades – the Paratroopers, Nahal and Kfir – are now concentrating their efforts on Highway 35 and Highway 60 in the Hevron area. "We are going from house to house, location to location, to bring about the locating of the three abductees,” the officer added. He stressed that there is no precise intelligence yet about the boys' location and that the IDF's activity is based on estimates and cross-checking of data. Paratroopers' Brigade Commander Col. Eliezer Toledano said Saturday night that the operations' aims are threefold: find the abductees, catch the abductors and smash Hamas's terror infrastructure in Hevron. Israeli security forces have arrested 10 more terror suspects as they press their search for the three teenagers kidnapped by Hamas, the army said Saturday. "Ten people were arrested overnight, bringing to 330 the number of wanted Palestinians arrested since the beginning of the operation," a spokeswoman said. Israel accuses Hamas of kidnapping two 16-year-olds and a 19-year-old who went missing June 12 at a hitch-hiking stop in Gush Etzion, an allegation the Islamist group has dismissed.